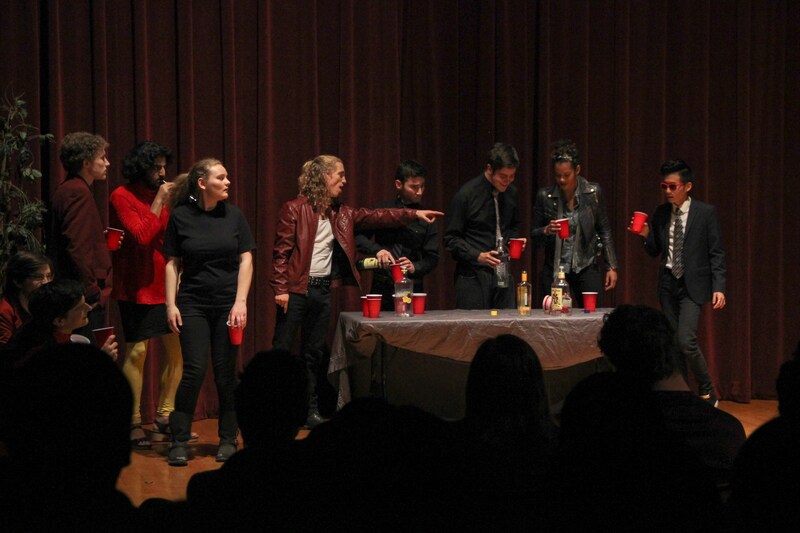 For their Spring 2017 full-length production, Yellow Stockings, Swarthmore College’s student run Shakespeare group funded by the Drama Board, performed Romeo and Juliet. When audience members took their seats on opening night, they were not only treated with various comedic moments, but also a twist on the production. Romeo and Juliet’s director Makayla Portley ’18 had casted Emma Remsberg ’17 and Alexandra Kingsley ’20 for the roles of Romeo and Juliet respectively, portraying a lesbian relationship between the two. The idea to have the production feature two female leads was first suggested by Portley last year to the Drama Board. While studying abroad in Australia, Portley was contacted by Remsberg, who later became the Director of Yellow Stockings and Romeo, to see if she was still interested in the production. Portley agreed and after receiving permission and funding from the Yellow Stockings and Drama board, began auditions during the first week of Spring 2017 classes. Throughout the performance, Portley made stylistic choices to help get across the subtle comedic nuances in the text, while avoiding insensitivity during the tragic moments. Some of these stylistic choices included keeping certain male pronouns as well as forehead kisses that led up to the leads kissing each other as Romeo returns to Juliet one final time before being cast off into exile. “I wanted to make [Romeo and Juliet] have more of a courtship and a dynamic relationship rather than the idea of love at first sight. The first time the audience sees them kissing [on the lips] on stage is when Romeo has been exiled. I think having that be the first moment they kiss onstage is beautiful and a more meaningful because Romeo’s about to leave forever and they will, hypothetically, never see each other again,” said Portley. While playing the role of Romeo, Remsberg, a four time veteran of Yellow Stockings, faced the challenge of memorizing around sixty pages of dialogue while interpreting the character as female. When constructing the character, Remsberg and Portley chose to make the character appear more anxious. The interpretation of Remsberg’s Romeo came from the idea of Romeo feeling both political tension, stemming from the feud, and sexual tension from being homosexual. This tension, Remsberg says, is increased after Romeo finds Juliet who is from the rival family. “Romeo is already coming from a place of general discomfort in her own skin and her identity, and finds meaning that then gets torn away instantly,” said Remsberg. Despite the challenges and workload throughout the production phase, as well as issues with props and staging on opening night, the audience gave them a standing ovation. The production concluded on Sunday with Yellow Stockings’ final performance, as well as the striking of the set, thus concluding Yellow Stockings’ production of Romeo and Juliet. When asked why she chose to continually work with Yellow Stockings, Portley said. 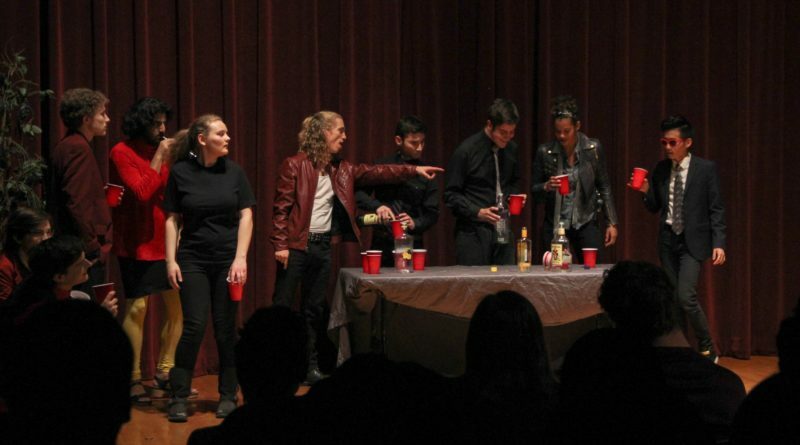 Yellow Stockings plans to continue during the Fall 2017 semester with its annual Night of Scenes.